The controversy and conflicts surrounding the Citizenship by Investment Programme (CBI) and the subsequent United Workers Party (UWP) protest meeting, followed by Prime Minister Skerrit's so-called coup allegations and the major vandalism occurrence in Roseau on 7 February has captured Dominican's attention over the last few months. That issue has occupied our minds and emotions so completely that we have entirely forgotten electoral reform- the elephant in the room. There's just about 30 months to get the job done before the next general elections. It is our view the CBI controversy, though important, should not distract the opposition parties, civil society and the current government from focusing intently on electoral reform- enacting campaign financing legislation, cleaning up the voters' list, issuing voter identification cards and solving the vexing and illegal problem of paying airfares for Dominicans to come back home to vote. No issue is as crucial to the health of our fledging democracy; no issue-if left unresolved-has the potential to plunge Dominica into widespread anarchy; no issue-if properly resolved- is a better medicine to treat the disease of political divisiveness that has been impeding our development. Late last year, Lennox Linton the political leader of the UWP released to the public a letter that he wrote to Gerard Burton, the chairman of the Electoral Commission. We, the Dominican public, have not yet heard from the Commission. In that letter dated 18 August 2016, Linton outlined the UWP's demands for electoral reform before the next general elections. Interestingly, Linton itemized the action he wants the Electoral Commission to take and he has given Burton and the Commission deadlines for getting them done. You will also recall that some months earlier, Prime Minister Roosevelt Skerrit also sent the Commission a letter in which Skerrit gave the ruling Dominica Labour Party's (DLP) perspective on electoral reform. As we said earlier, when you compare the two proposals you will undoubtedly conclude that the UWP and the DLP are light years apart on the issue of electoral reform. So we predict a long and arduous journey before the two major parties remotely agree on the details of whatever reform is necessary for free and fair elections. To minimize the confrontations we have suggested the engagement of an independent consultant from the Organisation of American States, for example, to advise Burton and his Commission on the measures and their implementation. In our view the current electoral Commission is way too politically polarized to consider the matter to the remote satisfaction of the Dominican public. The commission has a massively complicated job ahead of them and them would need all the assistance they need to get it done before the next general election constitutionally due sometime in 2019 0r 2020. Because Dominican really cannot continue conducting elections the way it has over the past 15 years. In his letter Linton asked for the following: a total re-registration of all eligible voters on the basis of which a new register of voters will be issued; voter identification cards - picture ID cards for all eligible voters on the new register of voters who will be obligated to use the cards as identification during elections; enforcement of the provisions in our electoral laws against bribery, treating, personation, illegal voting and election offenses in general; voting by electors living overseas – lawful facilitation of registered, eligible voters living overseas to vote in general elections in Dominica; media access for the Opposition - fair access for the Opposition to the news and current affairs programmes of all State-owned, State-operated or State-controlled media; campaign finance reform - to ensure at the very least declarations of campaign contributions and election campaign spending by any political party of no more than EC$30 per registered voter per election. As we have stated in earlier editorials, the issue of campaign finance reform is going to be the most contentious because that matter will affect every aspect of election campaigning in Dominica and over the past three elections the financing of general election has been of growing concern. In fact the Organisation of American States (OAS) has strong views on campaign financing and the impact that unregulated practices may have on free and fair elections. As we said in an earlier editorial, although we may concede that elections in Dominica have been relatively free (in the broadest meaning of the term) we have also argued on many occasions in this newspaper that elections in Dominica will not be fair until there are substantial changes to elections financing regulations. In fact, "changes" is the wrong word because these regulations do not exist at all. Without campaign finance legislation, the electoral playing field is not even. But no electoral playing field can be as uneven as the 2014 campaign that some people describe as the most expensive election ever held in Dominica. 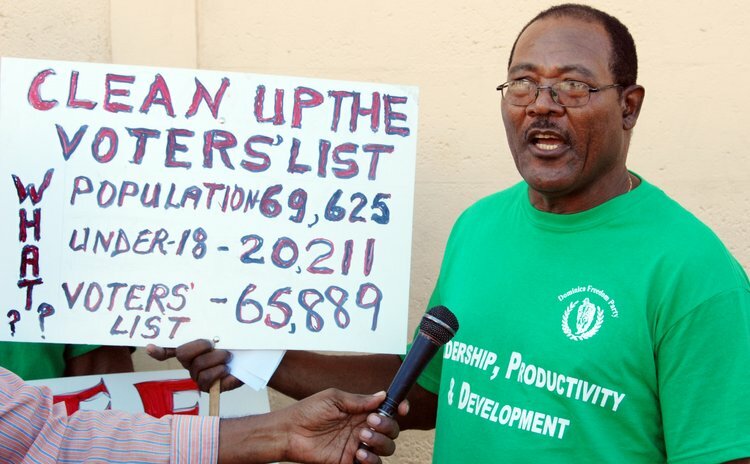 Unconfirmed reports indicated the DLP alone spent more than EC$40 million on that election campaign. Hence, we are always amazed by the indifference of Dominicans towards what boils down to the actual purchase of Dominica's electoral system by persons unknown. We note too that although the UWP spent considerably less than the DLP in the 2014 general election campaign, the opposition has also failed to disclose it sources of financing. So, as we stated earlier, we need to begin talking about enacting campaign finance laws and finding ways to enforce them. Otherwise the culture of political corruption will continue to corrode our citizens' faith and confidence in the electoral process. All groups, organisations and institutions must begin to put electoral reform at the very top of their agenda.